The art work belongs to the series “Common Places”. In this painting the artist represents the city as a heap of recyclable forms. The recyclable symbol becomes a symbol that seems to swallow the city. The technique gives to the artwork an unusual charm that intrigues the observer. Unique work, acrylic on overlapped nets, 50x50 cm. 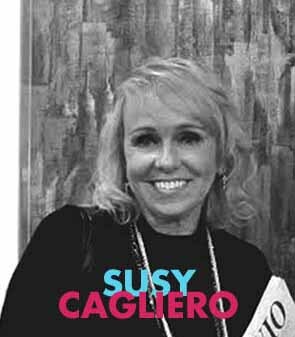 Susy Cagliero was defined by the critic as the “net painter”. The particular technique used by the artist consists of an overlaying of metallic nets over the painting, creating a tridimensional effect very scenographic, that captivates the spectator. Her last artistic research presents the Common Places, as invisible cities that we think to have seen, just like a “déjà vu”. 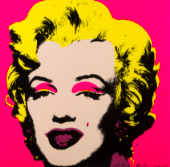 Her artistic activity has been rewarded in 2011, when she attended the Biennale of Venice – Padiglione Italia . Currently the artist Cagliero has shifted her production toward photography. The artist is guided by the desire to NOT reproduce reality.The artist believes that through a photo you can convey strong emotions and contrasting moods. The artist is not interested in objective data report by the photograph; her intent is to represent feelings and mental experiences. And is the observer himself that "take out" something when he is looking at the image.